Spring has sprung finally and with it comes the possibilities of new beginnings and new opportunities. 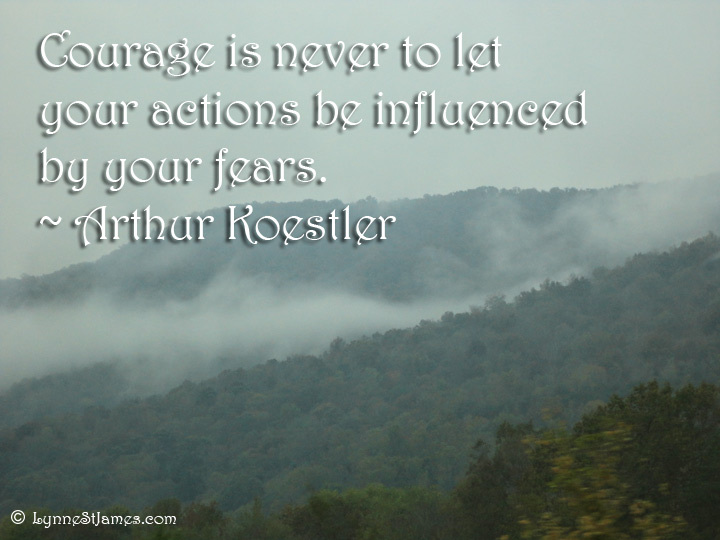 Will you embrace them or will fear steal your courage? I learned a while ago that I can’t let fear, doubts, lack of self-confidence, which really are all the same things, control my life. To give fear a foothold, no matter how small, is to lose your dreams, hopes, desires. At the risk of sounding like a bad Direct TV commercial, don’t let fear rule your life. Don’t end up in a roadside ditch! Get out there and live.